Missed opening day? No worries, there’s never a bad time to support the Nats! Head over to Nationals Park for beer, hot dogs and a game you can’t afford to miss. Tickets can be as low as $11 and there are 13 home games this April, so grab some friends and start planning! Another hidden gem of the National Cherry Blossom Festival, the Anacostia River Festival is a great way to turn your lazy Sunday afternoon into a memorable experience. Ride in the bike parade, take a canoe out on the river, play some outdoor games…the choices are endless! Beer, food trucks and live music? Sounds like the recipe for an awesome day! Sample beer from more than 80 different breweries while soaking up the sun at Nationals Park. Tickets for this event begin at $45 and you can choose between two different three-hour sessions. Take advantage of the spring weather and get your zen on with glow yoga! This is no ordinary workout because you will literally be glowing. Glow sticks and paint are provided, so you’re sure to stand out when the sun starts to set. Tickets for this event are $25. Sandy Spring Adventure Park, 6 p.m. Challenge yourself and your friends to complete your choice of 190 challenges consisting of ziplines, bridges and climbing. This after-hours event will have live music and all the fun you can handle! Choose from six different check-in times before enjoying the park for two hours. Tickets are only $34 for the adventure of a lifetime! Looking for more fun? 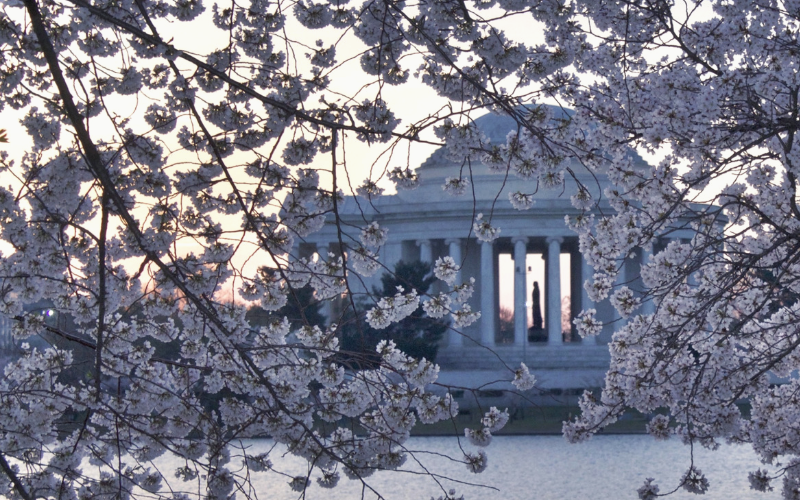 Check out this list of must-do things in the DMV this spring.